At first glance, there’s nothing wrong with your #shelfie. Your deodorant is all-natural and so is your favorite lipstick, lotion, serum, and oil. But look again: How many of those beauty and personal hygiene products are packaged in plastic? Those containers might not seem like a big deal—they’re recyclable after all—but even the most eco-minded among us play a part in contributing to the 270 million tons of plastic drifting around the world’s oceans. In a bold move toward sustainability, some of the biggest beauty brands are rethinking the user experience from the outside in. If you aren’t familiar with the refillable beauty trend, listen good. In response to the outrageous amount of pollution in our seas and its impact on both the environment and ocean wildlife, several companies are packaging beauty products in reusable containers. When the product is gone, simply refill the bottle. Based on research by the LCA Centre, Refinery29 reports that switching to a brand that offers refills is the overwhelmingly sustainable choice. In the makeup department, Stila offers an impressive assortment of refillable cosmetics, including powders to eye shadows. Dior is a newcomer to the trend with reusable lipstick tubes. Le Labo lets customers bring empty fragrance bottles back to the store for refills. Clean-beauty brand Kjaer Weiss sells plenty of inexpensive refill options, including foundation, bronzer, and blush packaged in paper cartons that pop right into previously-purchased compacts. Rituals, Aveda, Method, and even chic natural deodorant company Myro practice responsible packaging as well. Some brands go above and beyond by creating products that are sold naked (or close to it). Thirty-five percent of Lush’s products, for example, need no packaging at all because they’re available in the form of a bar. It’s no easy feat to live a zero-waste lifestyle, but supporting companies ahead of the curve is a start. 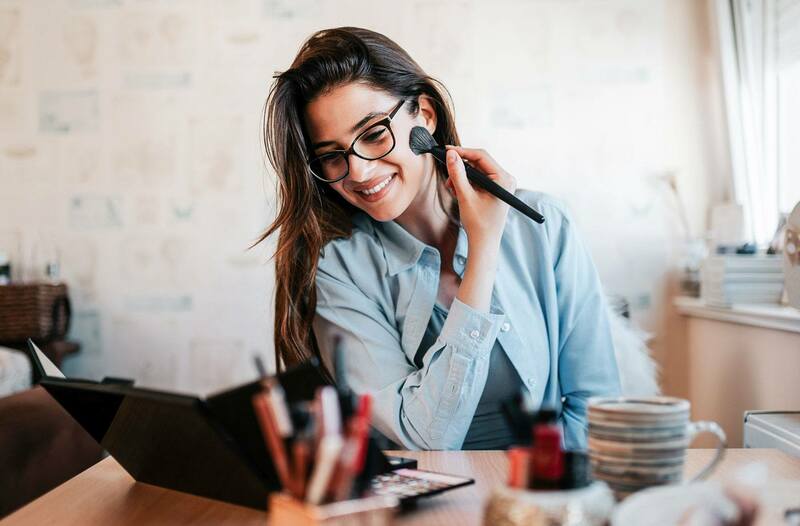 As more brands feel the pressure to shift toward eco-friendly practices, the refillable beauty trend is certain to take hold. For now, feel as good as you look by doing a little world savin’ in the process. There’s an eco-friendly reason to pack seaweed sunscreen for your next beach getaway. And find out how Queen Elizabeth II is pushing for a sustainable makeover at Buckingham Palace. Dear derms: Why is my skin is clearer when I use zero products?